Guruvayoor is an enchanting place. It is considered the Dwarka of the south. The name Guruvayoor comes from the name of the deity of the main temple – Guruvayoorappan, which is just one of the hundreds of names by which Lord Krishna is called affectionately. There are many good hotels in Guruvayoor – rooms in guruvayoor to accommodate the scores of pilgrims that arrive at the town to visit the Guruvayoor temple. During auspicious days and major festivals at the temple, most hotels are tightly packed, so make sure to book well in advance while planning your travel on those days. 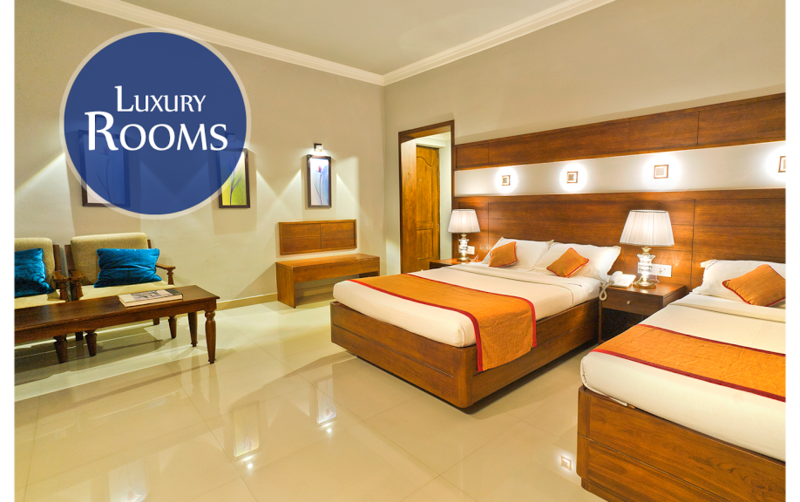 Bhasuri Inn offers comfortable rooms with all modern amenities for the spiritual traveler. Located very close to the temple at walkable distance, Bhasuri Inn offers its guests a calm, peaceful and noise-free atmosphere that complements the divine aura of the city. Guruvayoor sees pilgrims from all over the world, so Bhasuri Inn offers a multi-cuisine restaurant that offers North-Indian food as well as international cuisine to cater to all its guests from different parts of the world. While planning your visit to Guruvayoor, look for a hotel that is walkable distance from the temple. The roads leading to the temple face a lot of congestion, so it is desirable that you go by walk to attend the temple rituals and programmes. Guruvayoor is a calm and serene town with pleasant climate all year around. Devotees visit here throughout the year, but there are a few occasions when it is particularly auspicious to visit the Guruvayoor temple. Day of Vishu (New Year) – The Kerala New Year usually falls on April 14th. Keralites believe that whatever they see first thing in the morning of this day (Vishu Kani) will decide how the year unfolds for them. Many Hindus throng the Guruvayoor temple courtyard to catch a glimpse of the deity as their Vishu Kani in the early morning hours of Vishu. Guruvayur Utsavam – This grand temple festival spreads over 10 days in the months of February – March. Flag-hoisting, elephant race, processions and eye-catching cracker displays are some of the specialities of this festival. Krishnageethi Day – This day marks the completion of composition of ‘Krishnageethi’ (the life story of Lord Krishna) by the Zamorin Manavedan, and the popular dance form ‘Krishnanattam’ is based on this composition. On this day the entire text of ‘Krishnageethi’ will be discoursed at the temple.